Genuine OEM Canon Toner Cartridge, Black, High Capacity 2,400 page yield. 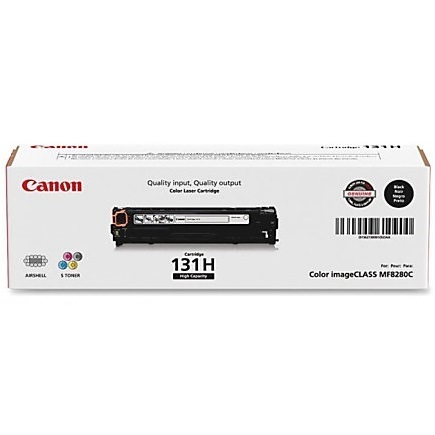 Canon part number: 6273B001AA, 6273B001, CRG-131. Laser Toner Cartridge compatible with Canon imageCLASS LBP7110Cw, MF624Cw, MF628Cw, MF8280Cw.